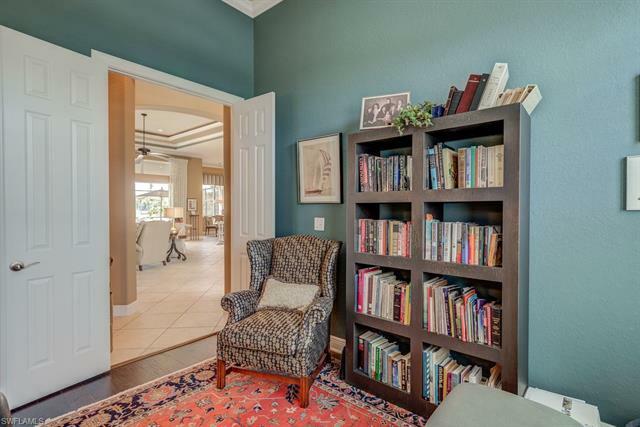 Available APRIL 2020! 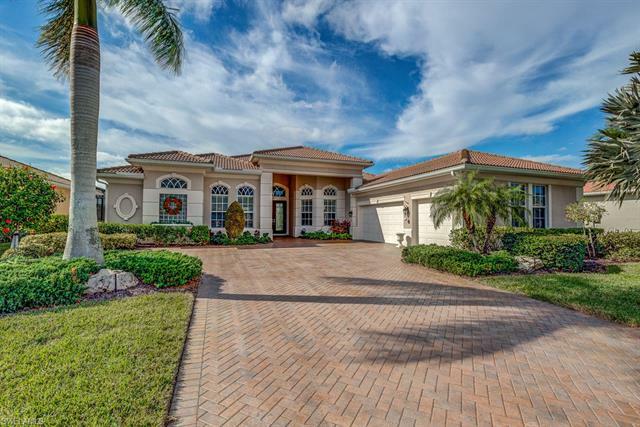 (BOOKED JAN-MAR 2020) Beautiful western lake view Aragon home, offering 3 bedrooms plus den, 3.5 baths, & a 3-car garage. 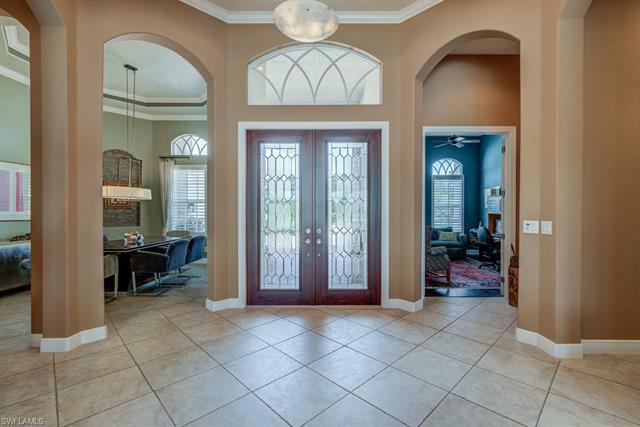 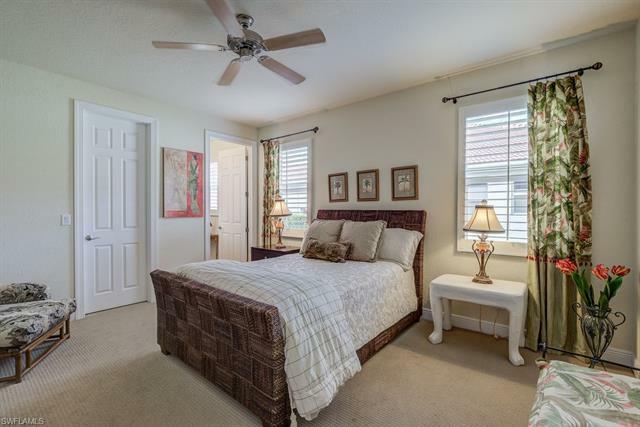 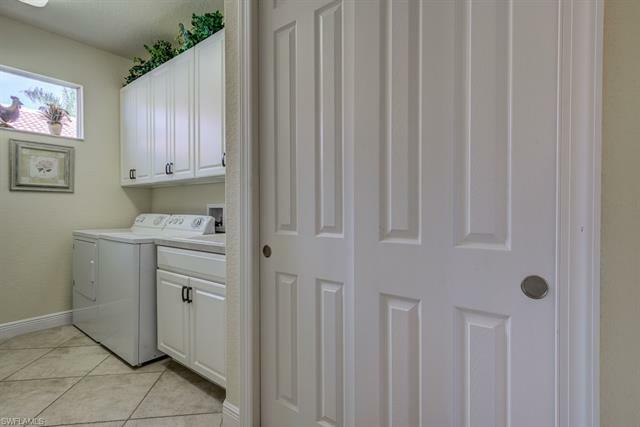 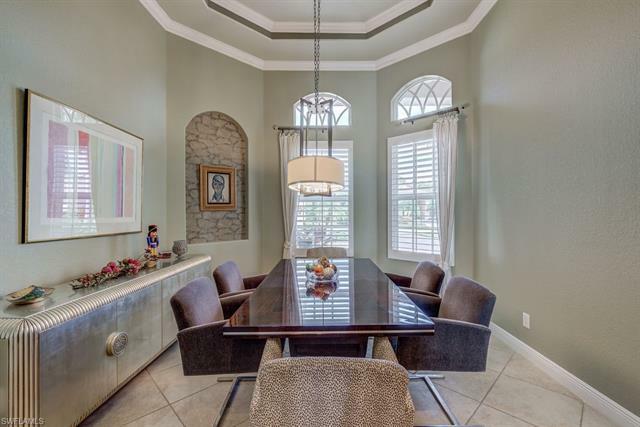 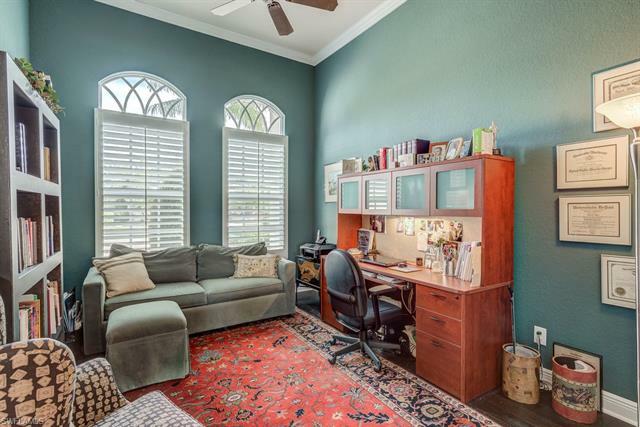 This light & bright home features designer furnishings in beautiful neutral colors, modern fixtures, crown molding, tray ceilings, & tile flooring throughout the main living area. 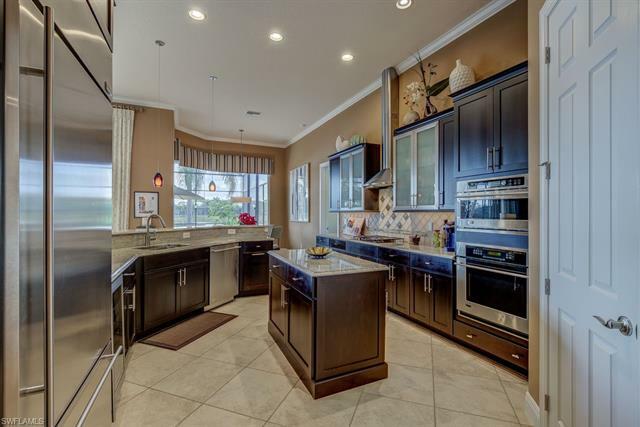 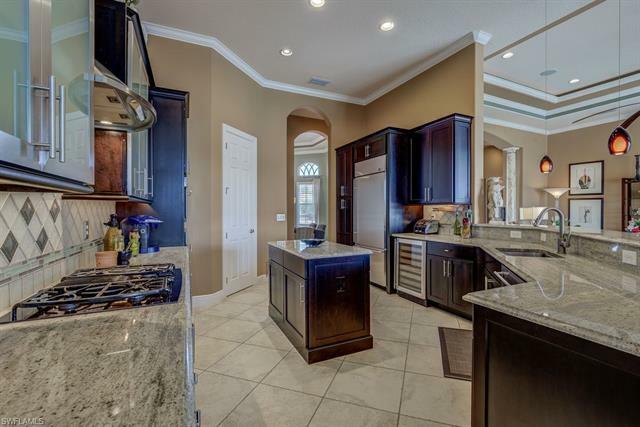 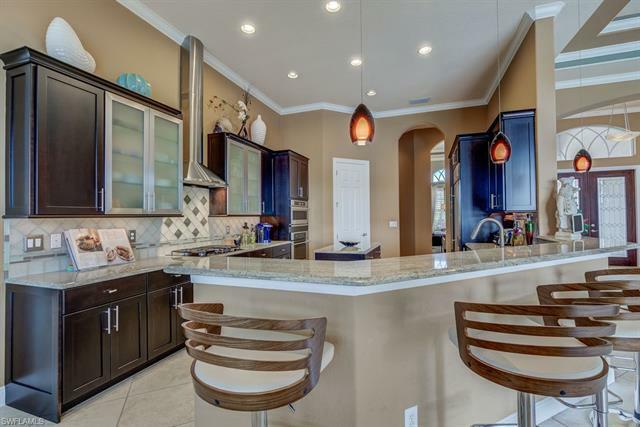 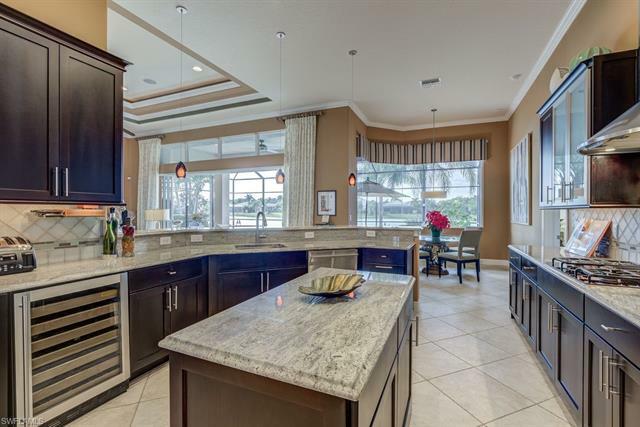 Chef's kitchen features double wall ovens, granite countertops, tile backsplash, center island, breakfast bar & dining nook, all with fabulous views! 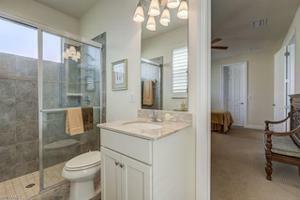 Guest suites have carpet in room & tile in baths, both featuring granite countertops & tiled showers. 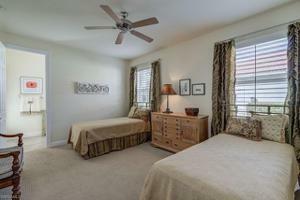 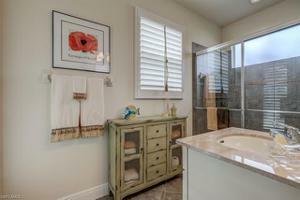 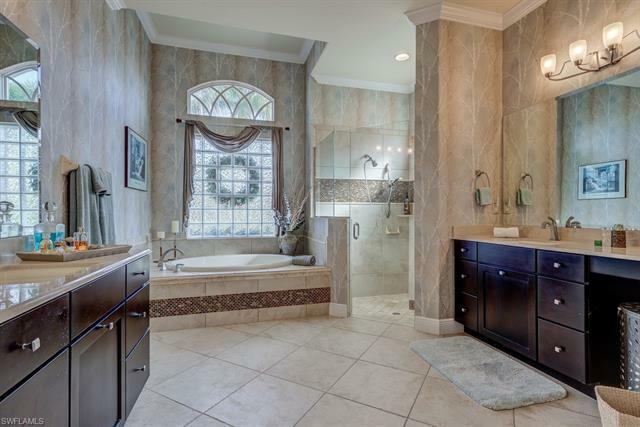 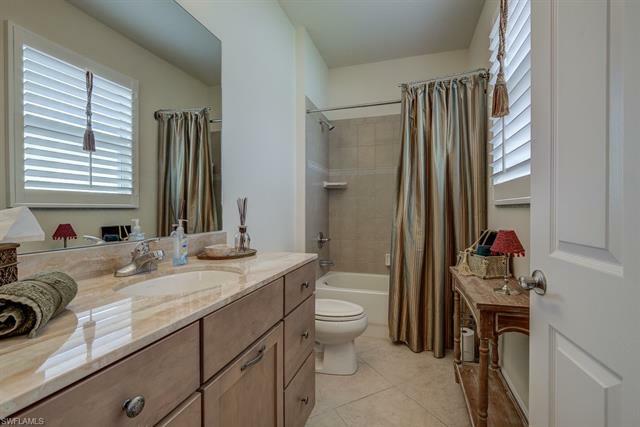 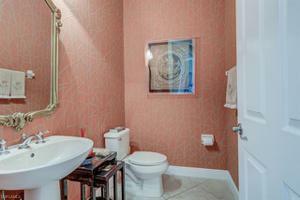 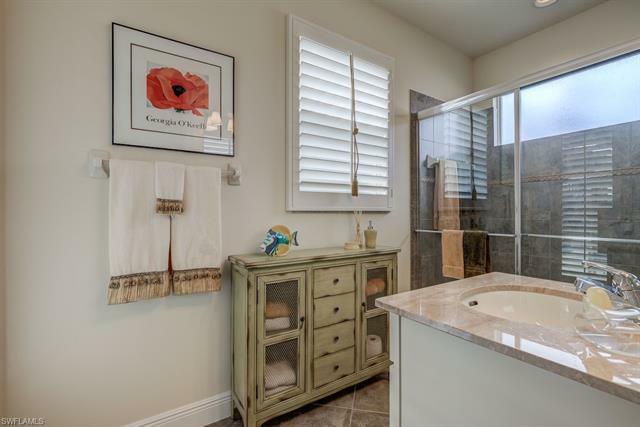 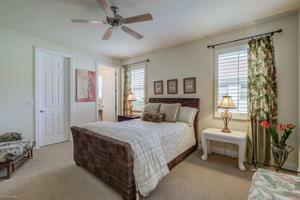 Master Bathroom features dual vanities, glass shower, soaking tub & his & hers walk-in closets. 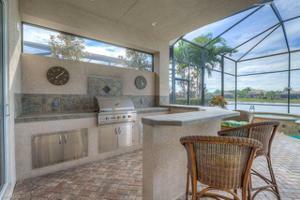 The Suite allows slider access to the screened-in lanai providing stunning views of the lake. 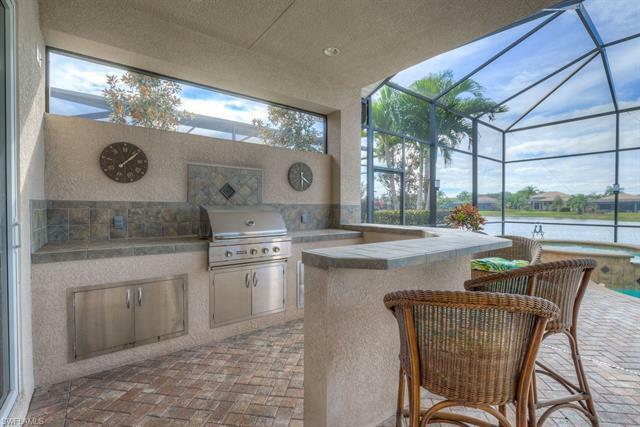 The expansive, screened lanai offers a custom outdoor kitchen, large heated salt water pool w/spa & a stunning western lake view. 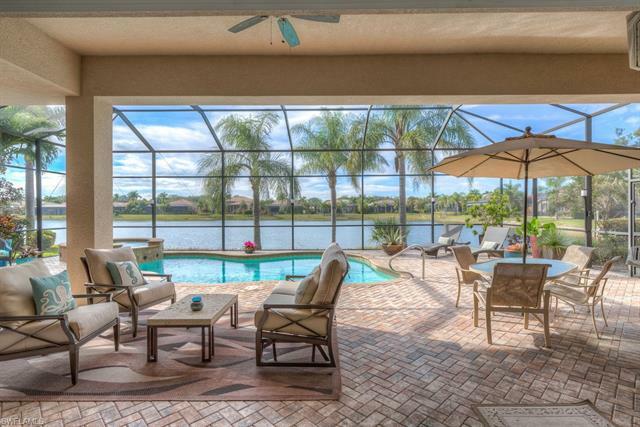 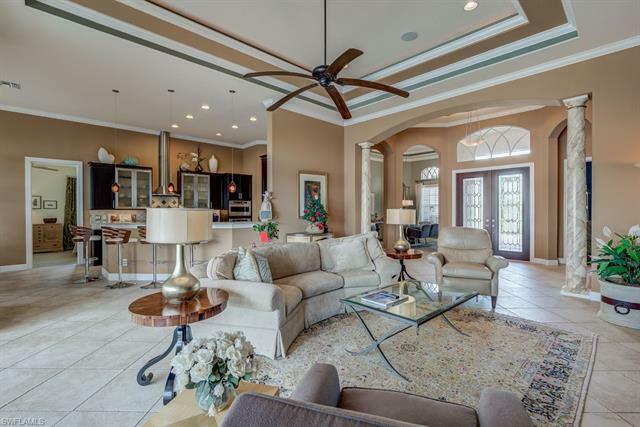 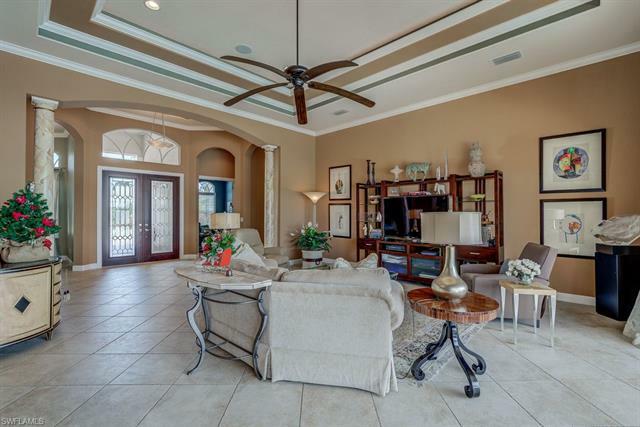 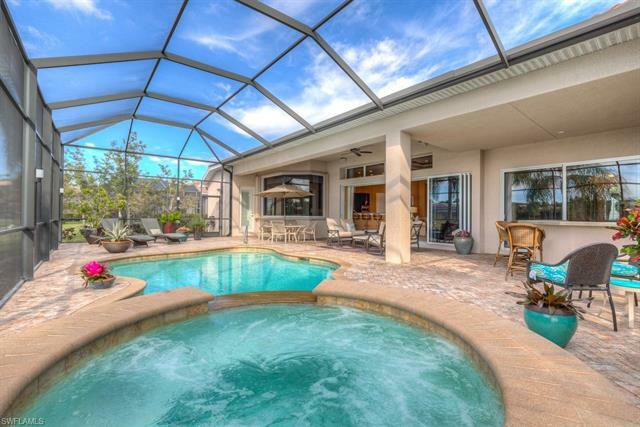 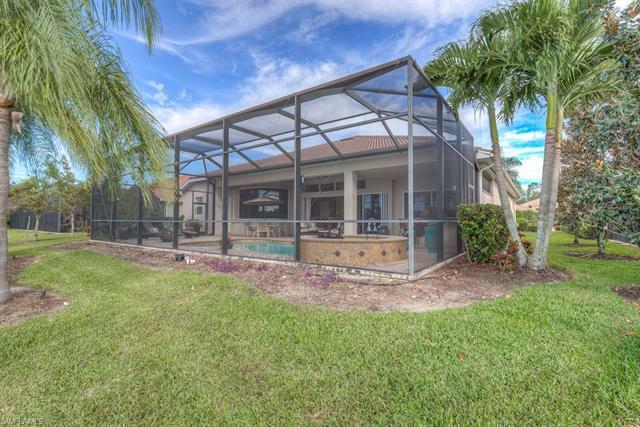 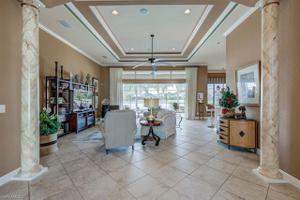 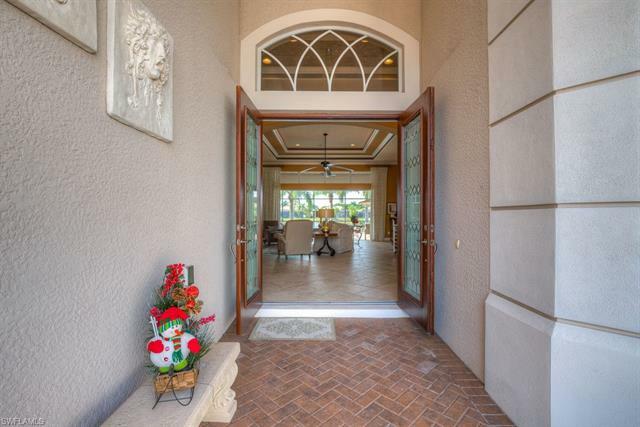 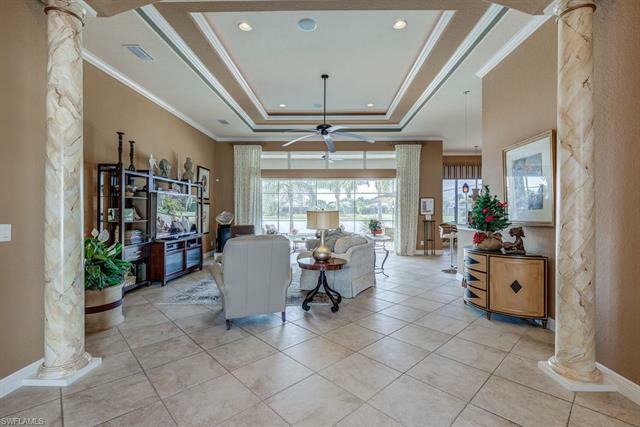 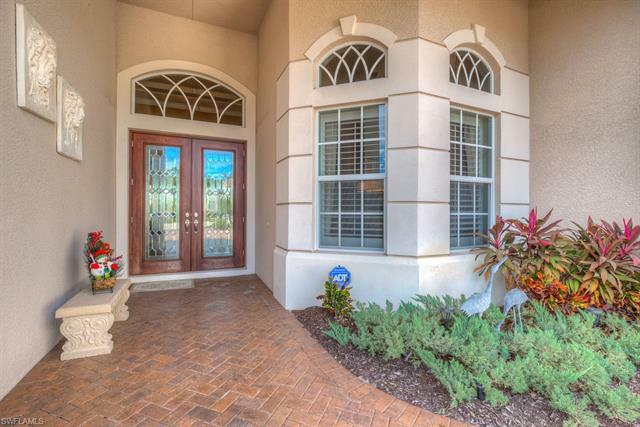 Belle Lago is a gated community offering resort-style amenities such as a zero entry pool & whirlpool spa, fitness center, 4 Har-Tru Tennis Courts, walking trails, bocce, pickle ball, billiards & basketball. 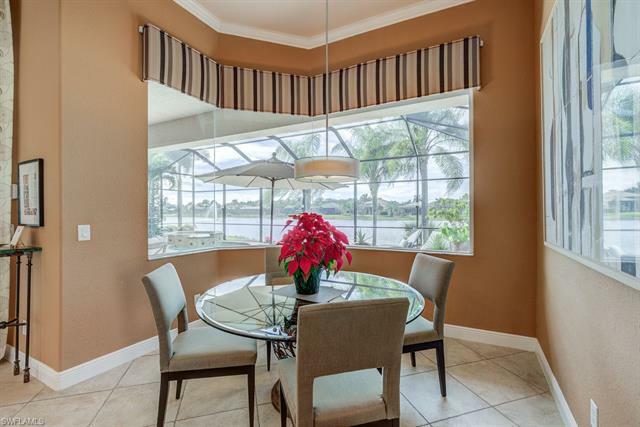 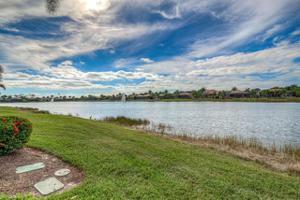 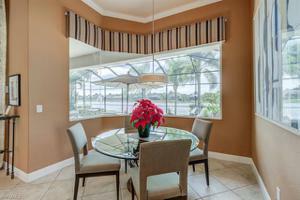 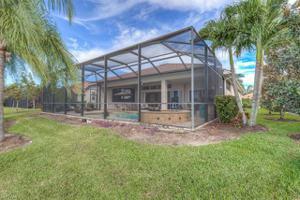 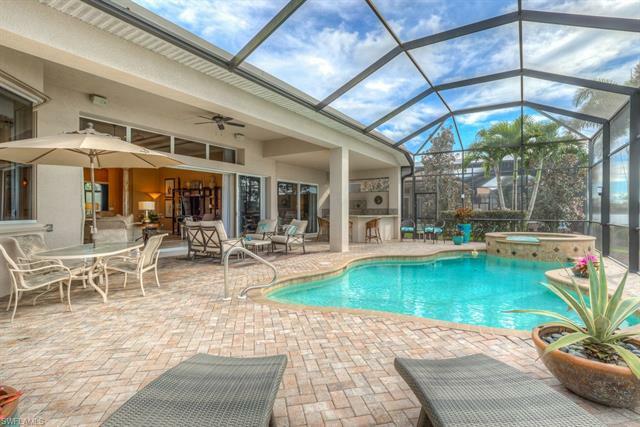 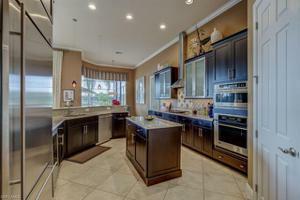 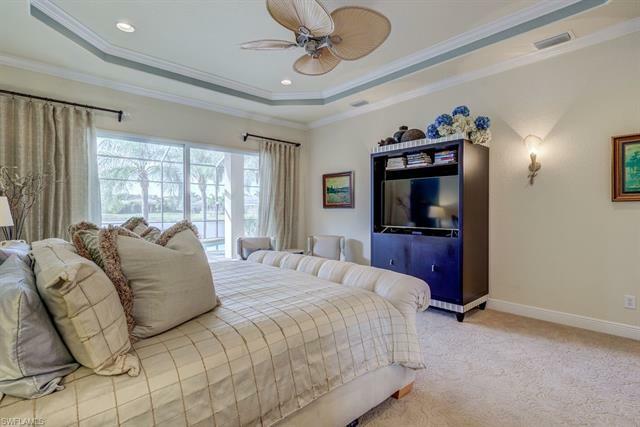 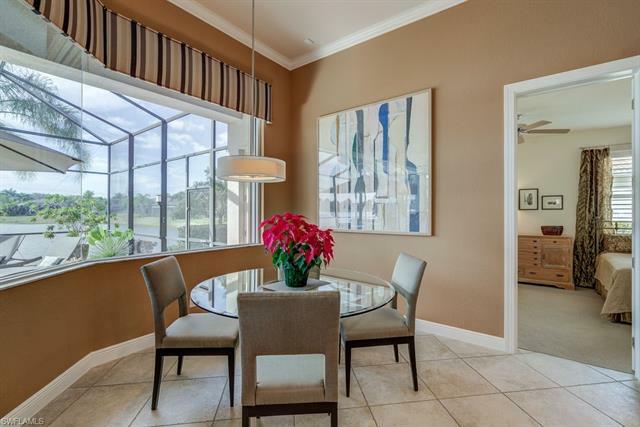 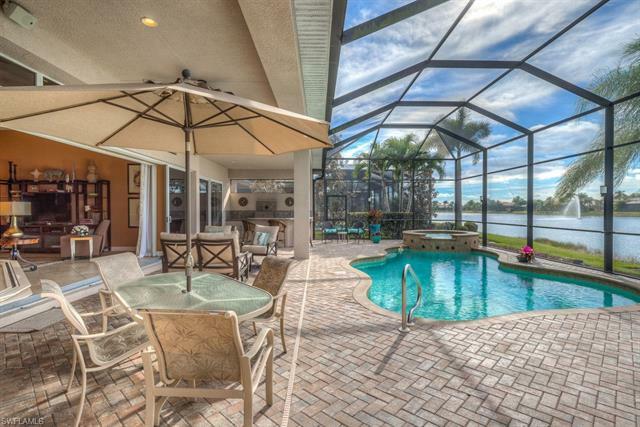 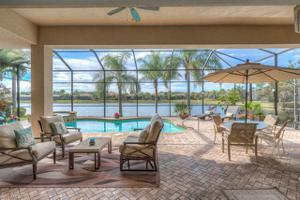 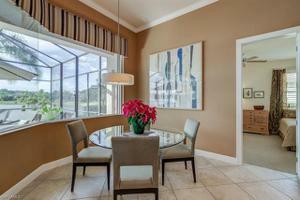 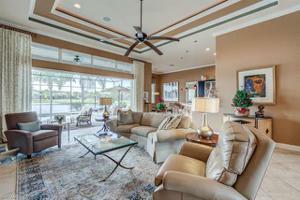 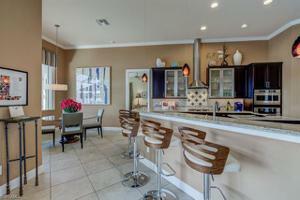 Ideally situated between Naples & Fort Myers & close to shopping, dining & world class beaches.